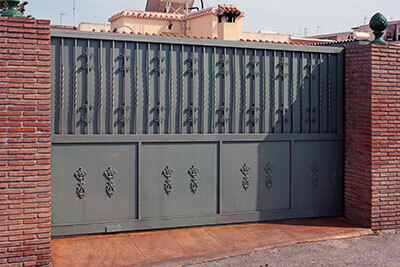 When you are searching for a driveway gate company in San Diego, you should look for the most reliable business around. Our driveway gate company in San Diego provides all types of services. We are able to take emergency calls 24/7, so if you are stuck in any emergency situation, our qualified staff will be able to help solve your problem for you. We do all repairs and installations that are related to fences/gates. Please call our Intercom and Phone Entry Systems Company today, and let us help you. Whether you have a residential property or a commercial property, we can provide a driveway gate and an intercom and phone entry system for your security and safety concerns. If the driveway is at the entrance, then this system will ensure the proper verification of identity of those seeking to enter your premises. Various types of intercom and phone entry systems exist, depending on what you need for your home or business. Telephone entry systems for residential properties are available in a variety of styles and designs. One type of this particular system is the wired version. When any visitor pushes the button, it will give a signal call inside the premises, after which the owner of the premises either home or office will determine if he or she wants to open the gate. The telephone entry system also permits you to have codes for different people and visitors for the ease of coming and going, and can be used with other commercial gates as well. Call us at our San Diego driveway gate company, and allow us to help you choose a great system for your property. 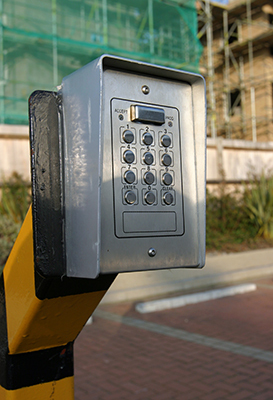 Another type of entry system that we also have available is the keypads telephone system. This particular entry system allows you speak with visitors before allowing them to enter your home or office. For both residential and commercial purposes, these are excellent tools. You may use this very keypad system to operate your entry doors of your premises. Our staff can install them for you, including the top selling American brands such as: Linear, DoorKing and Elite. Please call us today at our driveway gate company in San Diego, and allow us to install one of these systems for your privacy and safety. Our driveway gate company in San Diego provides services that far exceed your expectations, including the ones related to all types of fences and gates. We provide our clients with a host of wrought iron gates and fences of all types. Call our San Diego driveway gate company, and allow us to offer the best price estimates and free price quotes to help you in deciding the one that you want, at the right price and the right budget. What are you waiting for? Give us a call now!